Students at Sandy Creek Elementary School have 100 reasons to celebrate. They just marked the 100th day of the 2012-13 school year. To honor this milestone the students in Deborah Klotz’s first grade class created projects for a 100-themed museum. Pictured above is Cameron Hathway describing the project that he created for the museum using his favorite snack food, popcorn. 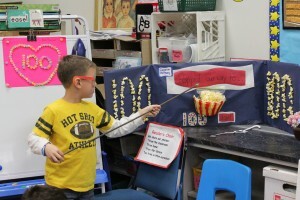 His “popped our way to 100 days” project took three days to create and he is explaining how he carefully counted and glued 100 pieces of popcorn to make the giant 100 numbers. Each student in the class created a project for the museum on their own time, at home with a family member, and then was given time during the museum’s showcase to share with their classmates how they came up with the idea for their project and the sequence of events to complete the project. Students at Sandy Creek Elementary School just marked a major milestone in the 2012-13 school year. 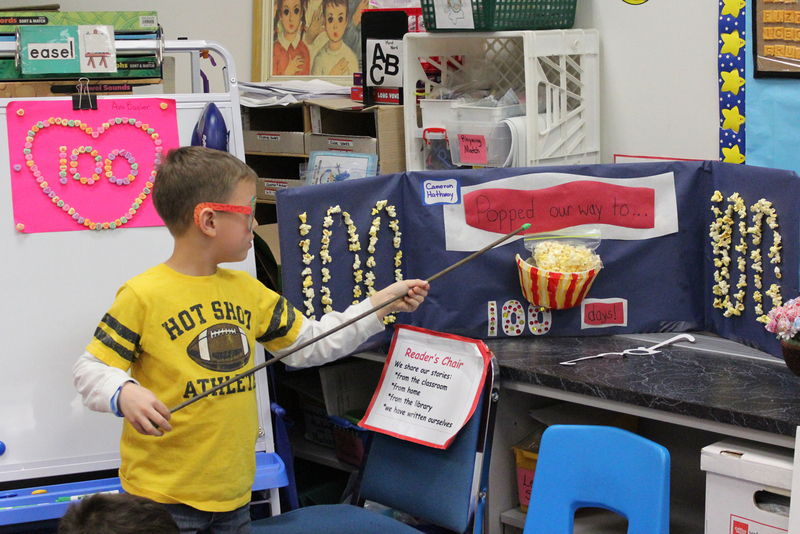 That milestone was the 100th day of the school year and was recognized with a celebration of centennial magnitude. 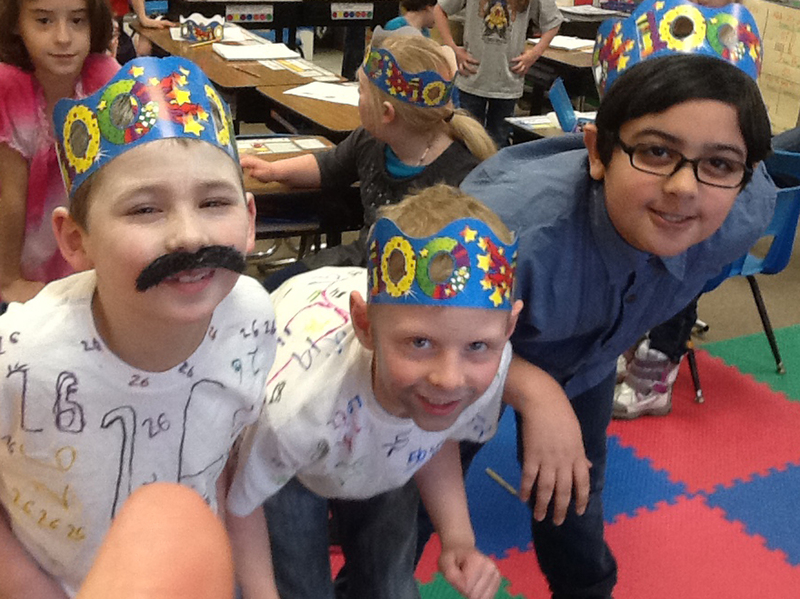 Students in Tamera Halsey’s second grade class spent the 100th day dressed as century-old versions of themselves. Pictured are 100-year-old students David Stern, left, Hayden Haines, middle, and Aiden Nunez.